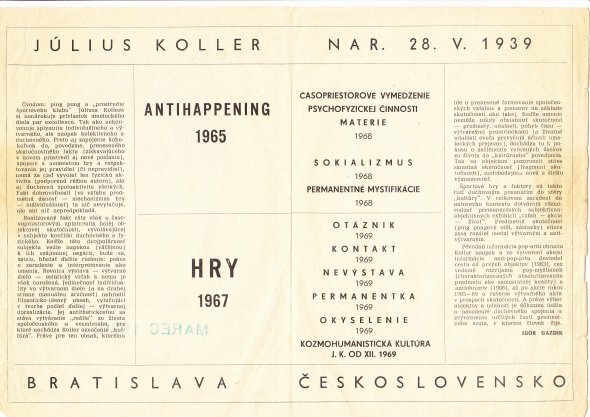 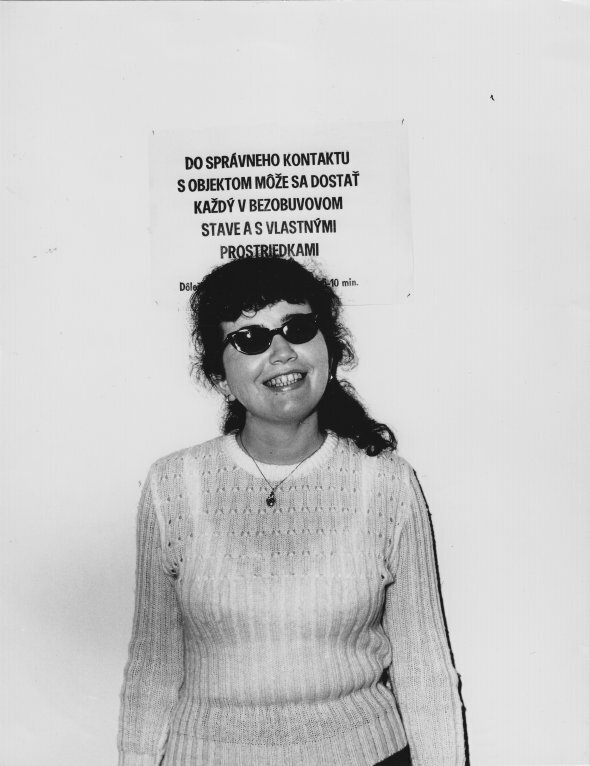 Július Koller: JK, Gallery of the Youth, Bratislava, exhibition bulletin with text by Igor Gazdík. 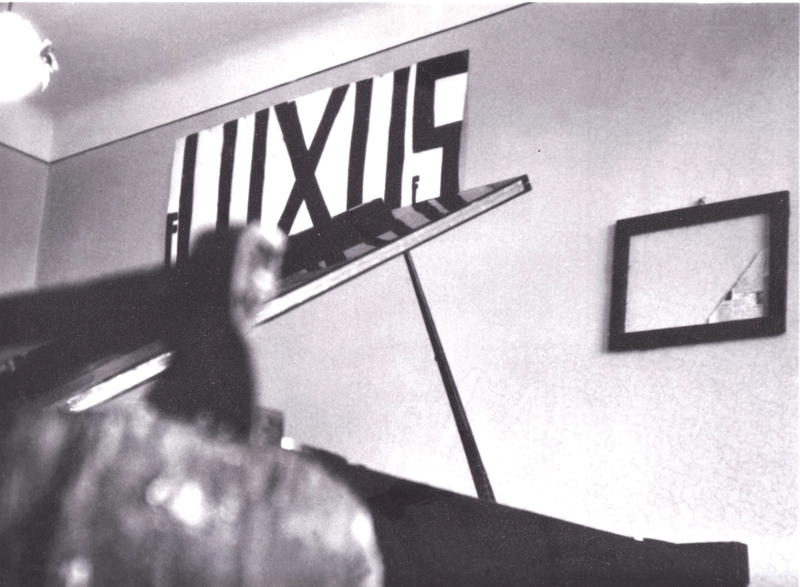 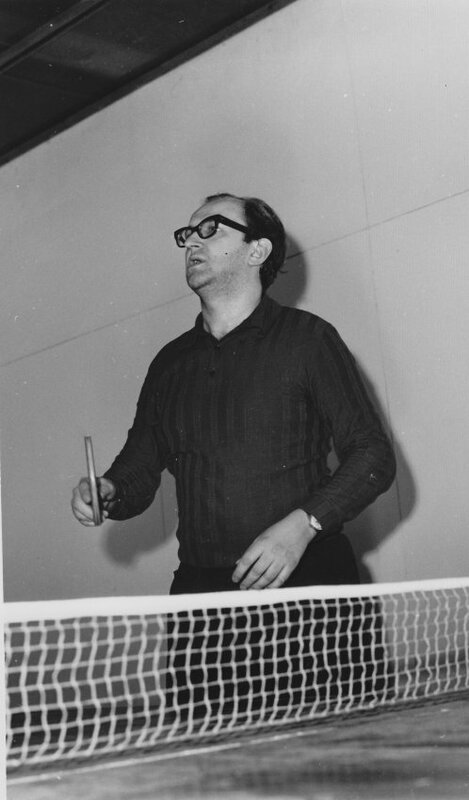 Since 1965, Július Koller has been dissolving boundaries between sporting and artistic events. 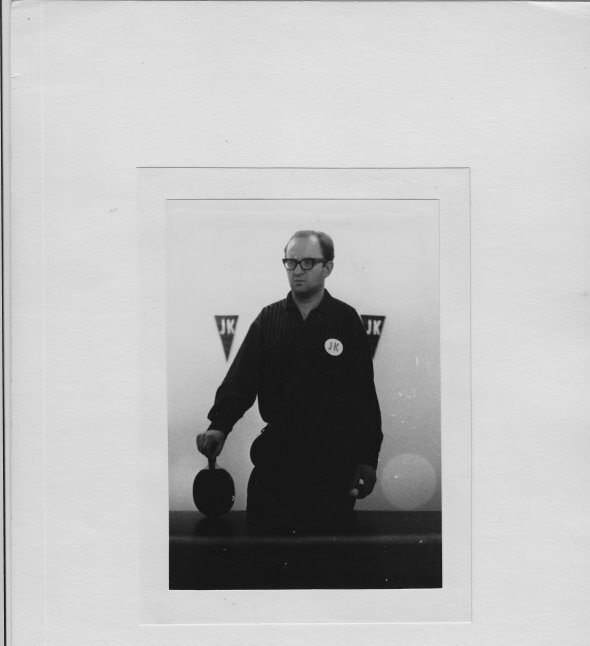 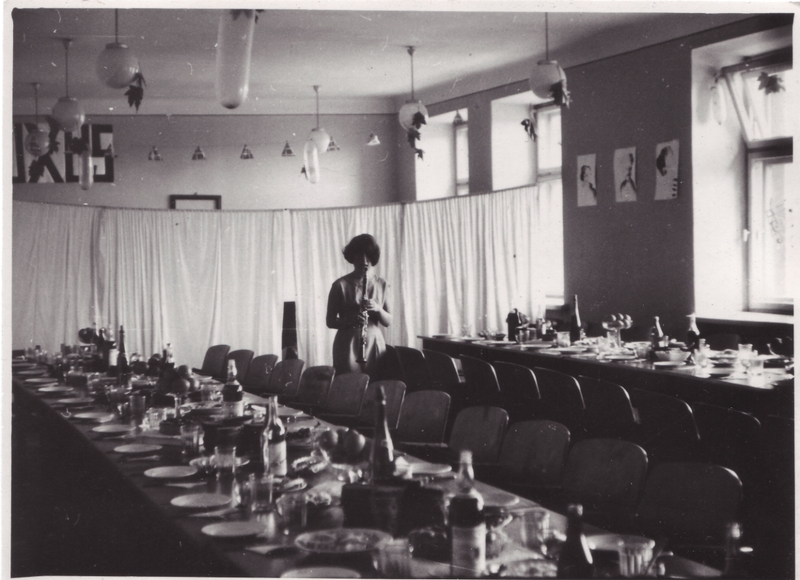 In March 1970, he used the independent exhibition space Galéria Mladých to play table tennis with visitors at regular intervals for the duration of the exhibition. 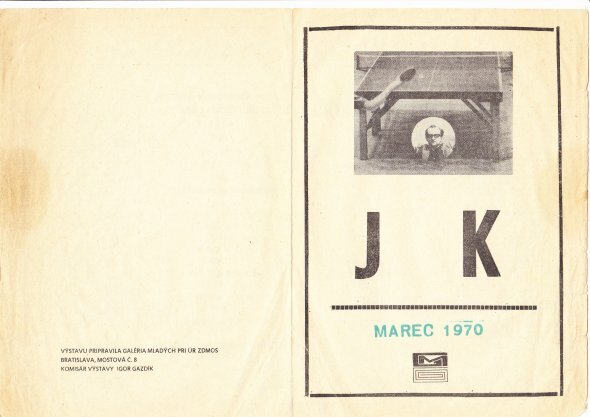 For “J. 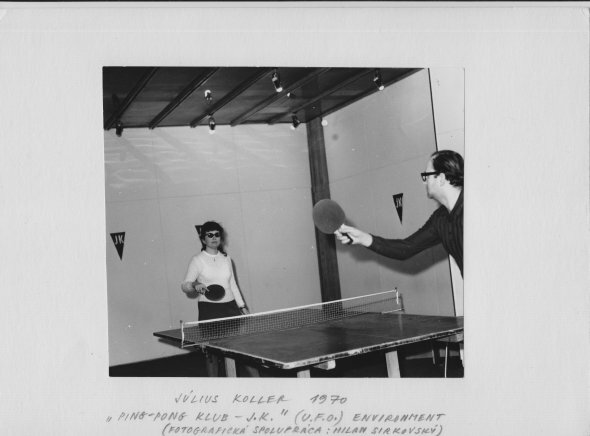 K. Ping-Pong Club,” Koller turned the gallery into a sports club complete with a ping-pong table, sports flags decorated with the initials J.K., and a list of playing conditions posted on the wall. 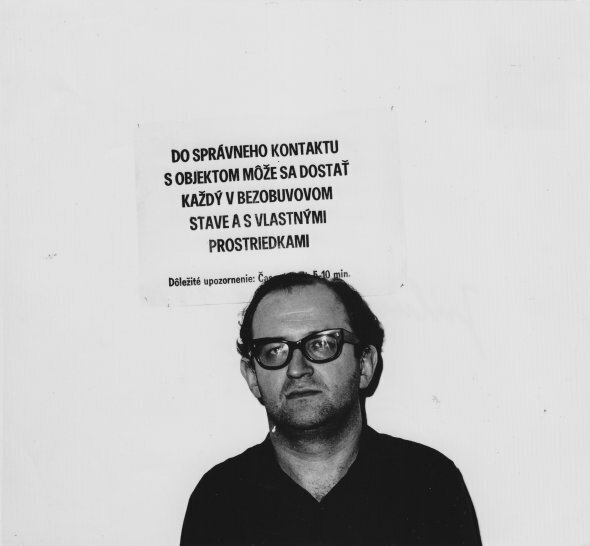 Participants and organizers: Róbert Cyprich (1951–1996), and with the creative cooperation of 365 friends from all over the world. 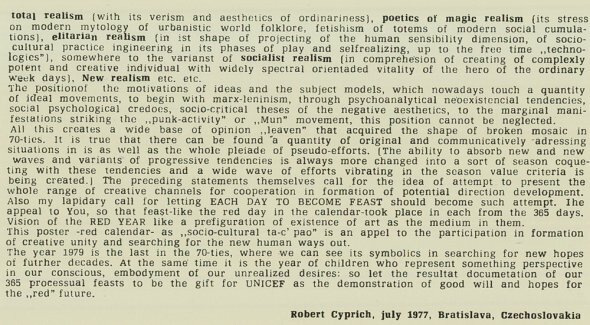 Róbert Cyprich’s pseudo-festival Red Year is connected to several other events that he organized in 1979 including Faga Ready-Made ’79, ONE MAN SHOW? 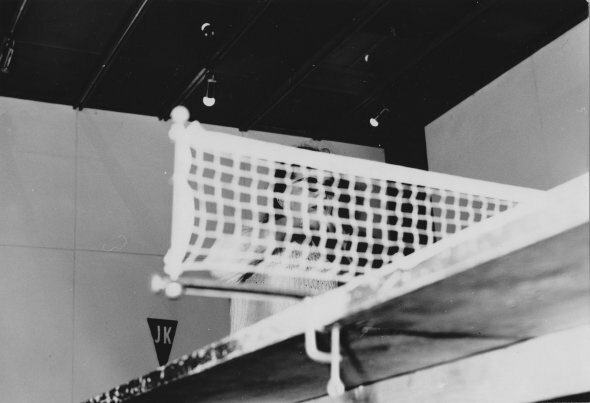 15 000 000 ”MAN“ SHOW!, BEIG Inc., Time of Cage, and Bee Flower. 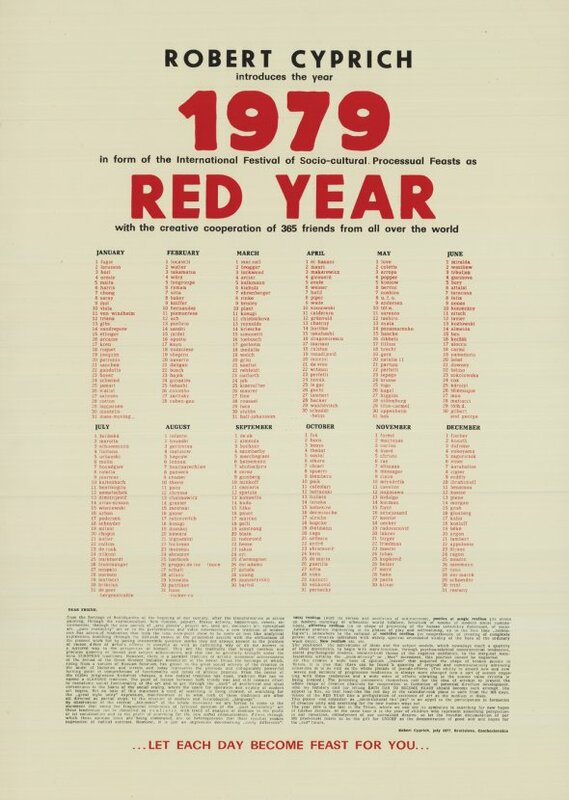 The conceptual poster–calendar Red Year came about as a creative collaboration with 365 friends from around the world, and was conducted via mail. 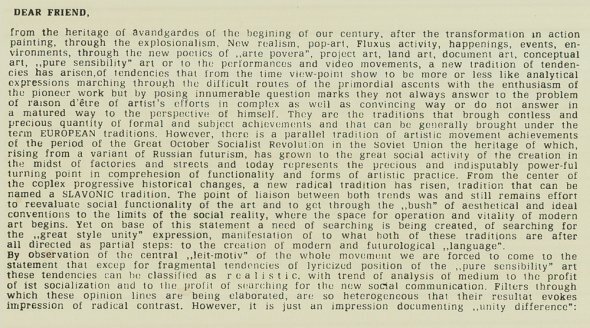 The work emerged from the collision between the international utopian ideals of the avant-garde and the reality of everyday life in Czechoslovakia at that time where official ”red” idealogy was imposed on society.